We have heard to the exhaustion that iOS is the safest mobile operating system in the world . It is something that Apple has repeated on numerous occasions, apart from being the most advanced. It does not say it to say, since compared with Android it is. Partly because it is much more closed and does not leave as much personalization margin as Google's, but also because of other things. For example, applications that are uploaded to the App Store pass more quality controls and revisions than Google Play. For that reason it is not surprising that from time to time there is some news about a program downloaded from Android that turns out to have malicious intentions (although this has also happened with iOS). But that does not stop you from jailbreaking the iPhone and iPad. The jailbreak is a method less and less used, although with an unconditional legion of followers. It allows to install modifications not approved by Apple to take the devices to unsuspected limits. Although it is increasingly difficult to do it, hackers always find an open door through which to sneak . A team of Chinese computer researchers, associated with the Qihoo 360 Vulcan team, has revealed that it has a kernel vulnerability that could be used to jailbreak the iPhone X. The most interesting thing is that the procedure can be performed remotely . According to HackRead account, it was researcher Qixun Zhao who published the proof of concept on Twitter. 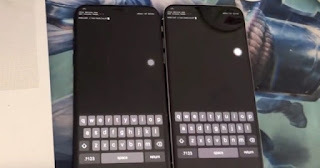 He said that the exploit can be executed remotely on an iPhone X without the knowledge of the user . Once inside, the hacker can access the data of the device. However, Zhao did not publish the exploit code, and ensures that to complete the jailbreak the hacker would have to manually complete the code or wait for the community to "do its magic".